Venezuelan born, Lifrancis Rojas creates her works full of textures, movement and vibrant colors. She uses organic materials to achieve the appearance that defines her unique style. The presence of fuzzy and smoky layers, play their role with streaks of tones creating an ethereal composition, sometimes hidden under dotted surfaces resembling sheer lace that generates a motion game that draws us closer to discover what is hidden beneath. Lifrancis has lived in different countries, settling in Weston, Florida since year 2000. She has a Bachelor degree in Business and Finance, and a Marketing Certification however She is dedicated full time to the Arts. 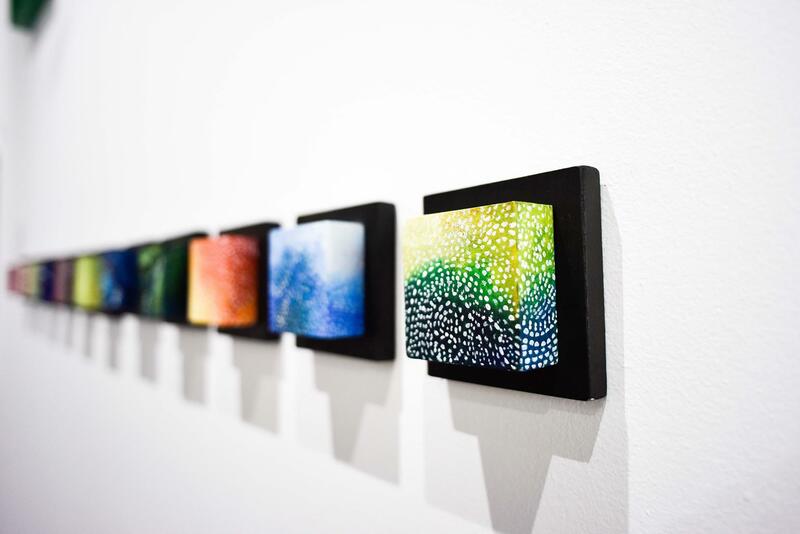 She has been chosen as a Featured Artist for the Miami Art and Business Council annual event in 2016 and won Best Mixed Media award at “Art by Design 2017” exhibit by the IIDA (International Interior Designers Association). Her works can be found in collector’s homes and businesses in the United States, Canada, Sweden, Hong Kong, Japan, México, Venezuela and Dominican Republic. 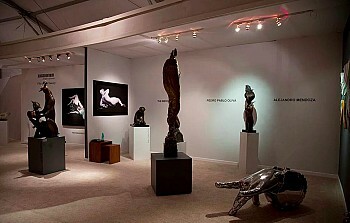 ​ Today she serves as Publicity Chairman for the Weston Art Guild. She has participated in more than fifty group exhibits, juried shows from West Palm Beach to Miami. During next Art Basel week her pieces will be on exhibit at Spectrum Miami Dec 6-10 with Irreversible Art Projects. "Art is color, form and texture that flood us back to the feeling of the sand under our feet, warm ocean water on our skin, and the dry leaves on an autumn afternoon. Everything fuses to trick our minds and take us to our dreams, memories and wishes".